Karin was an absolute pleasure to work with for our invitations. She was quick to respond, accommodating, and a great communicator throughout the process. Even when I made a couple of changes along the way, she was quick to handle everything according to my requests. She finished the job on time, even with a very tight deadline. The work itself was beautiful and am thrilled with the end result. I've even received messages from guests telling me how beautiful my invitations are. Karin is a very talented professional that provides excellent customer service. So happy that we hired her! Got my invitations quickly, she did all the work for me, and even ordered the digital copy for me!!! Definitely recommend!! Thank you so much Brandi!!!! It was a pleasure to work with you! Karin is beyond amazing and I got my dream invite for a great price! Karin was wonderful to work with on invitations for a vow renewal that I am planning. She allowed me to send her Pantone color swatches and the wording for the invitations and RSVP cards, and was very flexible about the border design. The quality of the invitations was excellent and my clients are very pleased! I definitely recommend this company! I ordered my save the dates through her and I absolutely LOVED them! They look amazing and were exactly what I wanted! Before ordering them, she showed me what they would look like and gave me different options with fonts, colors, word placing etc. Very professional and great to do business with! Replies very fast and does whatever she can to make sure you are happy with what you are getting! I'm in the process of getting my designs made up for my wedding invitations through her right now! Definitely great service and very great with prices! I was amazed at how inexpensive my save the dates were! 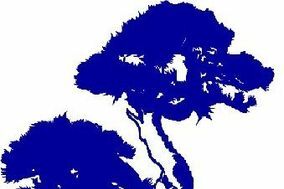 I would like to just say that Karin Webster with Blue Bonsai Printing out of Woodburn is wonderful to work with for invitations! While this order had a couple snags along the way, Karin was incredibly responsive, helpful and willing to do whatever it took to provide me top notch customer service. I'm a very nice but fussy person (guilty Virgo! ), and have ridiculous standards sometimes. Karin met my needs in every way, and even went above and beyond when she technically didn't have to. Just wanted to rave about her if you're considering professional printing for your invitations or save the dates. She helped me create a unique design that represents my fiance and I perfectly. Thank you so much Emily!!!! Karin was absolutely wonderful to work with. She was very knowledgeable and patient with all my questions and when I couldn't make up my mind. She didn't push things that she didn't feel I needed. She really cared about what my vision was and I couldn't be happier with my invitations they are incredible. She kept in contact with me the entire time if I ever need invitations done again she will be my first call. Thank you so much for the kind words Renee!!!! I am so happy you liked them. My invitations and envelopes came out perfectly! There was one error on my inner envelopes but that may have been due to my error and was an easy fix! I highly recommend blue bonsai and will be returning for more items soon. Thank you so much Stacey!!!! I am so happy you liked them. So sorry about the mistake!!! I could have reprinted the envelope without a problem. I look forward to working with you again! I had a great experience. My invitations turned out just as i had asked for. She was on time picking and dropping off. I also find her prices very budget friendly. Will definitely use BBP again. I would not change a thing. Blue Bonsai printing did a fantastic job and did everything I wanted on the invitations. She even did more by making two separate invitation for my first and second reception. Completely worked with me on everything. Thank you so much Chelsea!!!! I'm so happy you liked them! They were simple and what I asked for. Paper back ordered causing a delay in me getting my order, which set back for my timeline. Then I finally get them and my envelopes don't fit. Took 2 weeks to get the right envelopes , all I got was an apology, now I only have 2 weeks to get all my invites addressed and mailed out in time. Was really disappointed, maybe more then an apology how bout comp me for the cost of them, or something. Would not recommend this service to anyone. I am sorry you were not satisfied. This is the first I am hearing of any of this. Unfortunately the cardstock was back ordered. I informed you of that and there was no mention of there being a problem with your timeline related to that. I could have offered a different cardstock if you had mentioned there being a problem. I apologized immensely about the problem with the envelopes. I did my best to rectify the situation and I had a problem with my supplier. Those envelopes were out of stock at 2 other suppliers and due to the special size I was limited on what I could do. Again, there was no mention of this being a problem with your timeline. I did my best to rectify the situation. You asked for a refund for the envelopes and I agreed to that because you were going to buy them elsewhere and then responded that you wanted the ones from me after all. I did my best to keep you informed along the entire process. Invitations generally go out 2-3 months before the wedding and there are 4 months before your wedding date. At no time did you mention there being a problem. I finished your order within the noted time frame of 3-8 weeks as stated in the contract and on my website for order completion. Again, I am sorry that you were not satisfied.